In 2019 TreeSong launched its very first Artist in Residence program, with generous support from the Washington State Arts Commission (ArtsWA). We are so grateful for the exceptionally creative group of artists that applied for our program this year. We are inspired by our local community of artists and fascinated by all of the innovative ways that they make nature-connection and environmental awareness a key theme of their work. After careful deliberations, we are thrilled to announce TreeSong’s first Artist in Residence, Sam Marroquin! Sam’s work challenges popular perceptions of nature and our human relationship to it. 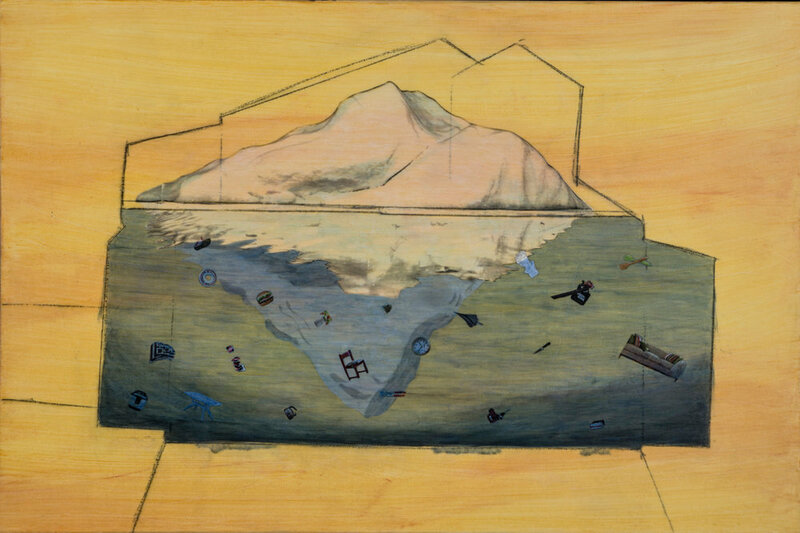 Environmental concerns surrounding the effects of our human habitat on the natural world, climate change, animal rights, power struggle, nuclear technology, and social justice are central themes of her work. Working primarily with acrylic paint, she incorporates images from everyday life, often times provocative or disturbing ones from post-industrial society, to start a conversation about the authenticity of our cultural perceptions. Sam is a Vancouver-based artist who currently teaches art classes at Clark College in the Community Education program, and has formerly taught art to kindergarten through 5th grade kids. She has exhibited her artwork in numerous locations in the Pacific Northwest, including Southern Oregon State University, Clackamas Community College, Multnomah Arts Center and Vancouver City Hall. For her residency, Sam will have five days to immerse herself in nature at the TreeSong cabin, and explore the ways in which artistic work can build nature awareness, connection to the earth, and a deeper understanding of our human relationship to the natural world. She will give a short talk about her work and experience at TreeSong, and lead a family-friendly art activity focused on nature connection, at TreeSong’s annual Run Wild! event, on June 9th, 2019. Run Wild! is a family-fun day filled with educational and artistic activities that build nature connection. It takes place at Fallen Leaf Lake Park in Camas. Investigating current and historic events, I am always aware and processing what is going on around us. Images and ideas that are avoided by popular culture and media are the source for my work. Responding to the collective experience of fact and fiction, I explore the authenticity of cultural information. Uncovering truth becomes a way of documenting current history while looking to the past as well as the future. Born and raised in a small Washington State town, Sam Marroquin was sheltered in a contemporary lifestyle of mass media and complacency. Although immersed in her small world, she enjoyed nature and solitude and developed art. Her passion for creating became evident as she studied advanced art as a child and then went on to further explore art in college. Driven by truth and knowledge, Marroquin began discovering falsehoods and injustices that exist in the world. Shaken out of oblivious contentment, she realized that facts are important though not always easy to discover. She looks to images and ideas that are avoided by popular culture as a source of inspiration. Uncovering truth in her work becomes a way of documenting current history. At TreeSong, we see art as a unique process for building nature connection. We have seen artistic activity foster curiosity, respect, and care for the natural world, and strengthen an understanding of our relationship with the other beings of the planet. Our new Artist in Residence program provides an individual Washington artist with the opportunity to stay at TreeSong – a quaint cabin in the woods along the Washougal river, surrounded by quiet trails – for a 5-day contemplative and creative nature-immersion experience. During their residency, the artist will (1) explore ways in which art strengthens nature connection, (2) produce their own artistic work, and (3) prepare a family-friendly workshop that shares hands-on strategies for connecting with nature through art. The artist will then show their work, talk a bit about their experience living close to nature at TreeSong, and lead a nature-connection art workshop at our Run Wild event – a family fun day for nature education and artistic activities – at Fallen Leaf Lake Park in Camas, WA. Stipend of $350 for 5 days of creative work (including approximately 5 hours a day of creative work, and 3+ hours living close to nature, taking walks on our trails, forest bathing, or doing other “unplugged” nature activities). Applicants must be Washington residents. We encourage artists from our local region – Washougal, Camas, Vancouver, Stevenson – to apply. We encourage artists from diverse artistic disciplines and at various points in their artistic careers to apply, but applicants must be able to do their creative work in our cabin or on the surrounding land in a way that is safe, clean, and does not cause destruction to the cabin or disturbance to the surrounding natural habitat. The TreeSong cabin is not an art studio; it is a small home. Artists will need to bring their own art supplies and tools and be able to do their work in a cabin setting. 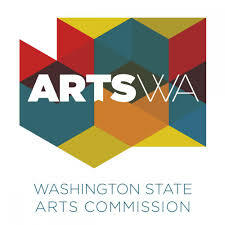 TreeSong’s Artist in Residence program is supported in part by a grant from the Washington State Arts Commission.